End of a Tuesday era! Please note that the all Tuesday sessions at Crayford Haberdashers have now ended. If if you have a place on the new junior session you will be contacted shortly (if you have not been already) and this as well as the men’s open session will recommence on Monday 29th April at North Kent College in Oakfield Lane, Wilmington. Welcome to the home of Dartford Sharks Basketball. Here you will find useful information about the club, past and present, as well as fixtures and results, news and photos from our games, training and events. 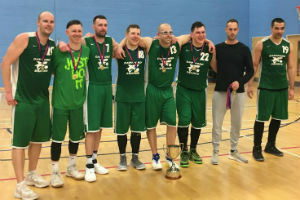 Dartford Sharks I beat Wizards to finish as Medway Cup Winners and also take home the Medway League Division 1 top spot. Any ladies interested in basketball? 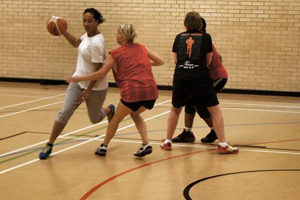 Our ladies only session has started and is taking place on Thursdays 19:00 - 20:00 at Becket Sport Centre. All abilities and ages welcome. 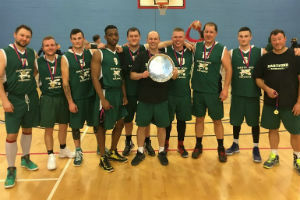 Dartford Sharks II beat Eltham Eagles to finish as Medway Plate Winners and also take home the Medway League Division 2 top spot. Keep up to date with news from Dartford Basketball and further afar. 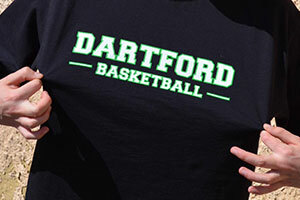 Get your official Dartford basketball t-shirt - a steal at £10. Contact us or speak to the coaches at training. The club has over 50 years experience and has spanned generations of basketball, with many of the former players still having links with current team and the league committee. This season is seeing both Dartford Sharks first and second teams playing extremely well in the Medway league with exciting times ahead as we continue to attract more talent to each team. Any new players are always welcome to come and try out for either of our teams, see the Club Info page for training times or use the Contact form to get more information or to register your interest. This site is continually being upgraded, so have a browse around and keep coming back for more news posts and updated content. There are no games currently scheduled. More games will be posted when this seasons fixtures have been announced. There are no events currently scheduled. 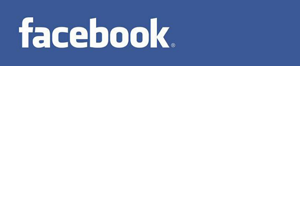 Use the link below to view past social events.